Custom Built Contemporary home sitting on 12 Acres in Chelsea Schools. Home sits back on a knoll with gorgeous views of the surrounding area. Home has main floor master suite with garden tub and walk-in closet, main floor laundry, custom cherry kitchen with granite counter tops and Brazilian cherry teak flooring. Great Room has wood burning fireplace that could also be gas. Large covered porch overlooking the property. 2nd Floor has space for another bedroom with an open loft concept. Large bonus room over the garage that could be 4th bedroom. Full finished walkout basement set up for mother-in-law type of apartment. Full kitchen and bath. 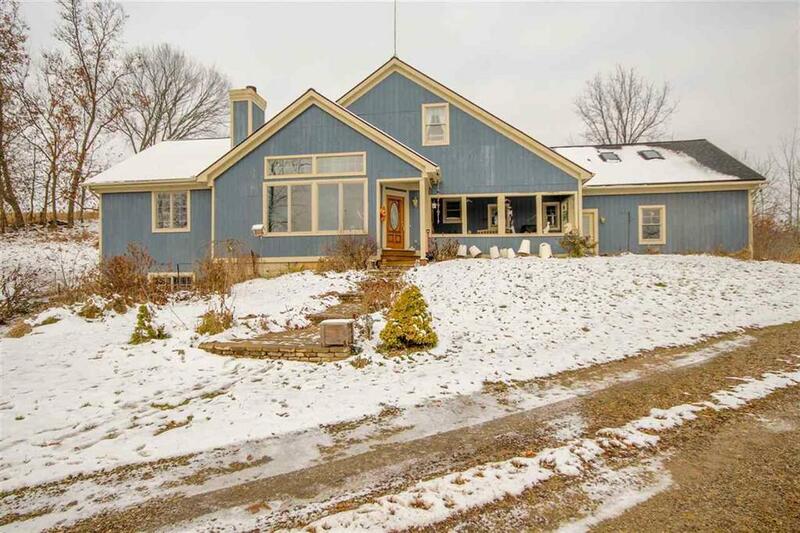 Home includes 2 1/2 car attached garage, fenced pasture, 2 barns, and a pond. Barn 1 has concrete floor and water, no electric. Barn 2 has dirt floor and opens to pasture,and has water and electric. No Sign on Property. IDX provided courtesy of Realcomp II Ltd., via Mi Horse Properties and Jackson Area Association Of Realtors®, Copyright 2019 Realcomp II Ltd. Shareholders. Real Estate listings other than those of Mi Horse Properties are marked with the Broker Reciprocity logo and detailed information about them includes the name of the listing brokers. Information deemed to be reliable but not guaranteed. Any use of search facilities of data on the site, other than by a consumer looking to purchase real estate, is prohibited. Last updated on 2019-04-24.